Home » Craft beers: Review and guides » Guide to craft beers » Cooking with beer! Blond, weiss or stout… there are many types of beers and each on them has a unique and particular perfume and aroma. They are perfect ingredients to make dishes and food unique. Cooking with beer not only gives to the food a particular taste rich in perfumes, but it reveal also ancient and traditional local recipes that use beer to season the dishes making the dough tastier and the batter more spumy. The use of beer to cook can give great surprises, do not just drink it but if you want to amaze your guests or if you are curious food lovers use to prepare a dinner with beer, more than tasty. Try these recipes with beer. Beer is the secret ingredient of a spumy batter, tasty and light. Its well structured taste is perfect with vegetables with a strong taste like cauliflowers and radicchio. Prepare a batter with 70g of flour, a yolk, a spoon of oil, salt and a glass of cold blond beer. Mix with a whip and leave rest for half an hour in the fridge. Then, add the egg white beat until sift and a spoon of curcuma to obtain a good gold yellow colour. Dip the radicchio leaves and fry. 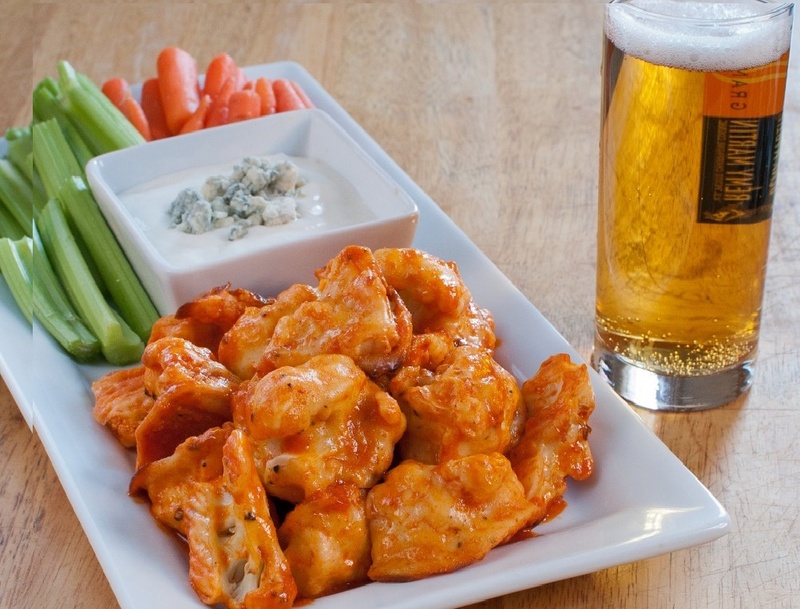 Serve hot and appreciate the crispy and the taste that give beer. The citrus and acid notes of blanche beers are perfect with dishes of fish, the cereals of the beer make the taste delicate and round, the acidity compensate the taste of sea and prawns. Prepare a light mirepoix and sear it in a drizzle of oil, add rice and toast for some minutes. Simmer with blanche beer (like Hoegaarden or Blanche de Namur until reduced and continue the cooking with a light broth. In a pan sauté the prawn with parsley and simmer with beer. Add rice and cook with broth. At the end, sprinkle with blanche and dab of butter to cream. Blond beer with a strong taste with hopped perfumes perfect for dishes made with meat or fish, for quick simmering or long braising. Quick and easy recipe: sear grinded onion, add beans and the sliced cuttlefish and simmer with abundant blond beer until it reduces. Cover and cook till it becomes a thick sauce. In a pan add garlic and oil, sear the slices of chicken, floured and seasoned with salt, chili pepper and curry. Sprinkle with abundant beer and cook for half an hour stirring now and then. At the end of the cooking raise the flame and reduce the cream of beer; add boiled potatoes seasoned with the curry and beer sauce. Serve together with porcini mushrooms. Beer in the desserts give a unique fragrance and the typical bitter of this drink compensate the sweet aroma creating pleasant surprises. If you want to experiment beer in confectionery try the delicious birramisu. If you want a special break try the biscuits. Perfect with the! Mix 250g of flour and a pocket of yeast, a pinch of salt, 50 g of cold butter, 50 g of sugar and raisin. Mix 200 ml of blond beer and knead! Spread with a knife, make biscuits and bake. fragrant and inebriant perfumes are assured! Get tanned with beer? Myth or reality?